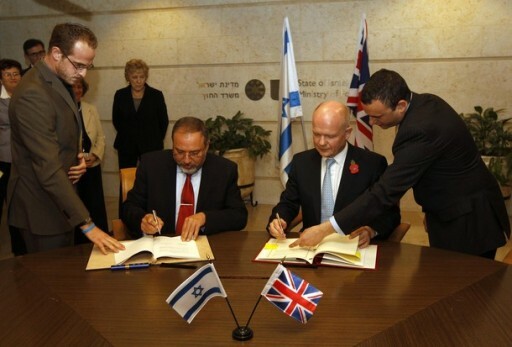 November 03, 2010 (KATAKAMI / BRITISH EMBASSY IN ISRAEL) — The meeting focused on the status of negotiations between Israel and the Palestinians and the need to get beyond the current impasse. The Rt. Hon. 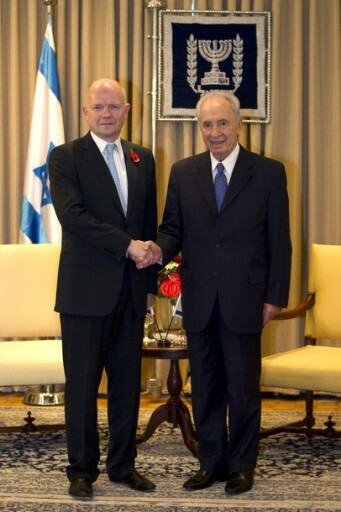 William Hague MP, First Secretary of State, Secretary of State for Foreign and Commonwealth Affairs met with Israeli Foreign Minister Avigdor Liberman on 3 November as part of his first visit to Israel as Foreign Secretary. Their meeting focused on the status of negotiations between Israel and the Palestinians and the need to get beyond the current impasse. In addition they discussed shared concerns including the threat posed by Iran’s attempts to obtain a nuclear weapon capability and the need for international cooperation against terrorism. 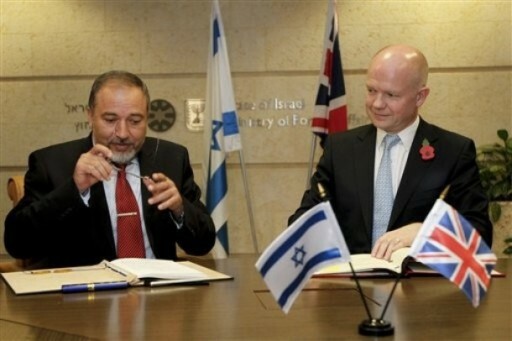 The two Ministers also discussed Middle East regional developments, including the situations in Yemen, Iraq, and Sudan. 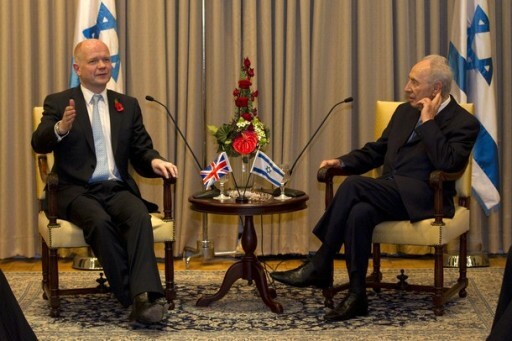 The meeting was also a chance to build on the UK’s and Israel’s strong bilateral relationship. The Foreign Secretary reiterated the UK government’s commitment to urgently resolve the “unacceptable situation” with regard to universal jurisdiction. 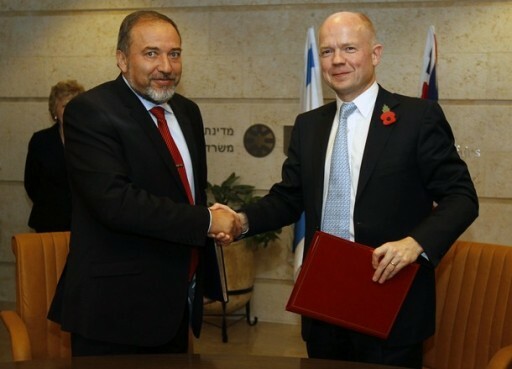 Both Ministers expressed their appreciation for the breadth and intensity of official exchanges between the two Governments and affirmed their shared commitment to an early meeting of the High-Level UK-Israel Strategic Dialogue. Both Ministers also touched upon the strength and depth of current partnerships in areas such as business, science and innovation. 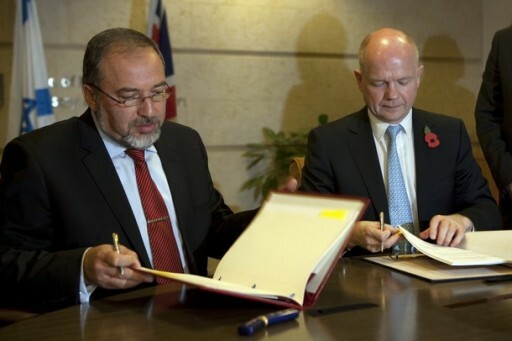 At the end of their meeting, Foreign Secretary Hague and Foreign Minister Liberman signed a Film Co-production Agreement, marking another milestone in the extensive cultural cooperation between the two countries. Israeli Foreign Minister Avigdor Lieberman (left) and his Russian counterpart Sergei Lavrov talk to the press after their meeting in Jerusalem on June 29. Lieberman said after a meeting with Moscow’s top diplomat that he hoped Russia’s president or prime minister would visit the Jewish state in 2010. ( FRANCE 24 / AFP ) – Israeli Foreign Minister Avigdor Lieberman said on Tuesday after a meeting with Moscow’s top diplomat that he hoped Russia’s president or prime minister would visit the Jewish state in 2010. “I hope that by the end of the year there will be a visit by President Dmitry Medvedev or Prime Minister Vladimir Putin,” Lieberman said at a press conference with visiting Russian Foreign Minister Sergei Lavrov. Lieberman, an immigrant from Moldova whose mother tongue is Russian, said they had discussed the two countries’ “close bilateral relations and the situation in the Middle East,” without providing further details. Lavrov said he hoped for the renewal of direct talks between Israel and the Palestinians following the launch of indirect US-brokered negotiations in May. He also welcomed Israel’s recent decision to allow more goods into the Hamas-ruled Gaza Strip while calling for the complete lifting of its four-year blockade of the impoverished territory. Meanwhile, Lavrov requested an explanation from Washington regarding the arrest of an alleged spy ring, which came at a time of rapidly warming ties between the two countries. “They did not explain what the matter is about. I hope they will,” he said, referring to US authorities. “The moment when it was done has been chosen with a special finesse,” he said with apparent sarcasm. Medvedev and US leader Barack Obama met in Washington earlier this month to underscore warming ties between the two Cold War adversaries. But on Monday US authorities said they had cracked open a massive alleged spy ring, announcing the arrest of 10 “deep-cover” suspects after unravelling a mission secretly monitored by the FBI for more than a decade.